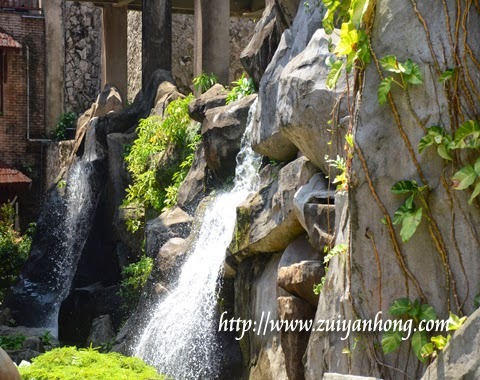 We were heading to Trengganu State Museum after savoring breakfast at Sri Malaysi Hotel. 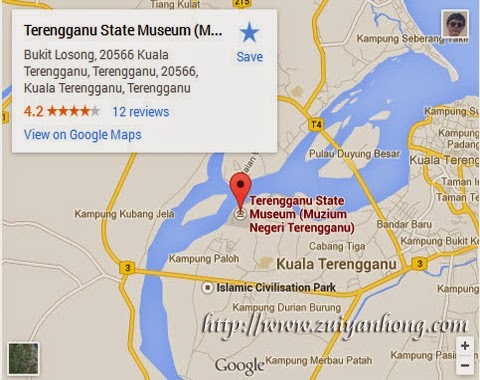 Trengganu State Museum is located roughly 3 km or 10 minutes drive from Kuala Trengganu. There are two categories of entrance tickets. One is for Malaysian and the other is for Non-Malaysian. 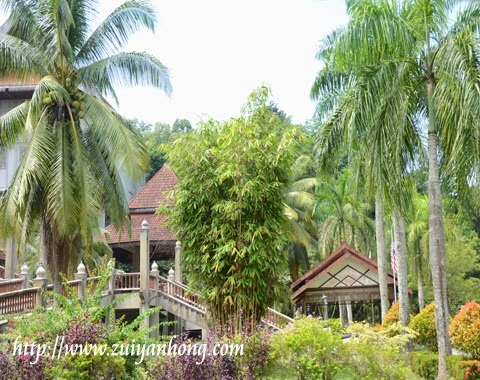 Built on land of 27 hectares at Kuala Trengganu Bukit Losong, Trengganu State Museum was established in 1976. 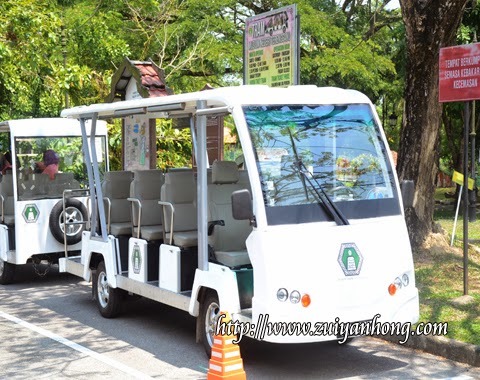 As the compound of Trengganu State Museum is too broad, tram is provided for visitors who are not willing to walk around. 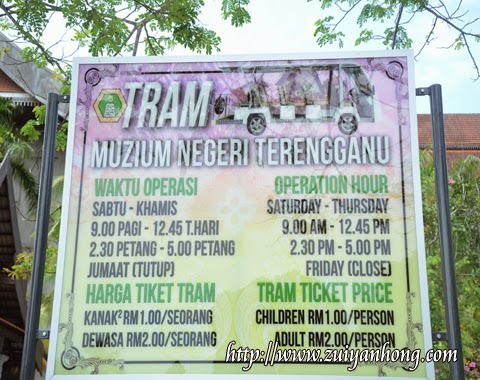 This is the bilingual signboard for tram service in Trengganu State Museum. 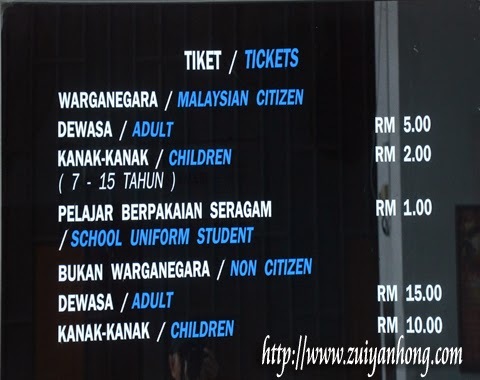 The signboard shows the operation hour and the price of the ticket. 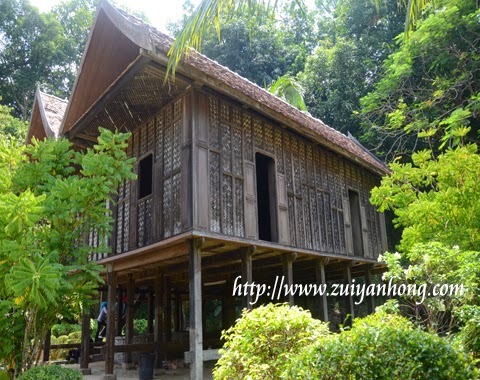 The replica house of Bujang Berpeleh built in Trengganu State Museum. 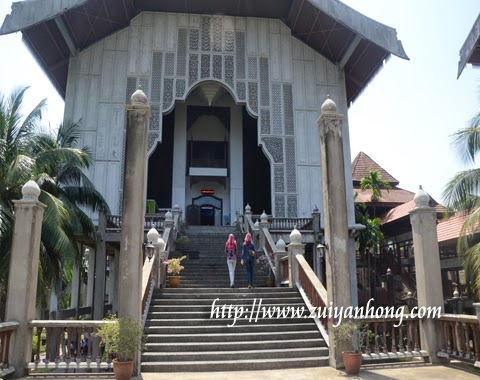 The owner of the original Bujang Berpeleh House is Hajah Hasanah Bt. Kassim from Jalan Hilir Kuala Trengganu. Sabar is the name of this big boat and T82 is its registration number. This boat was built by Haji Awang from Kuala Trengganu Kampung Losong. 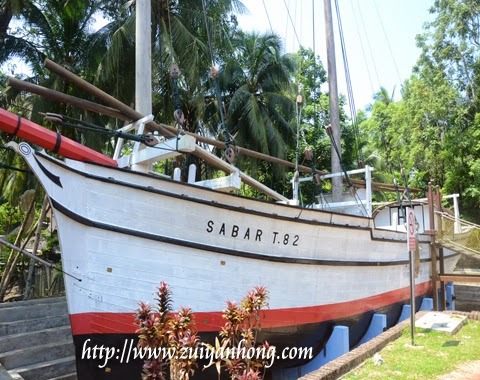 The boat was sold to Trengganu State Museum in 1982. The environment of Trengganu State Museum is truly amazing. Unique buildings and charming landscape of Trengganu managed to attract the visitors. 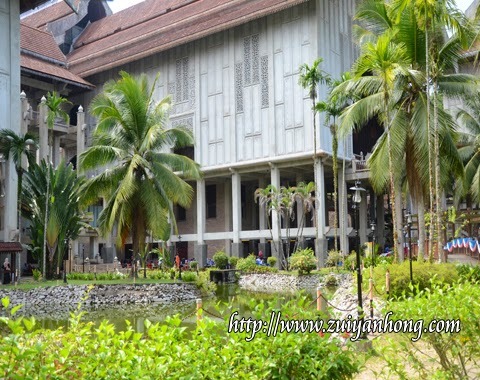 The combination of these two conditions is suitable for taking pictures around Trengganu State Museum.